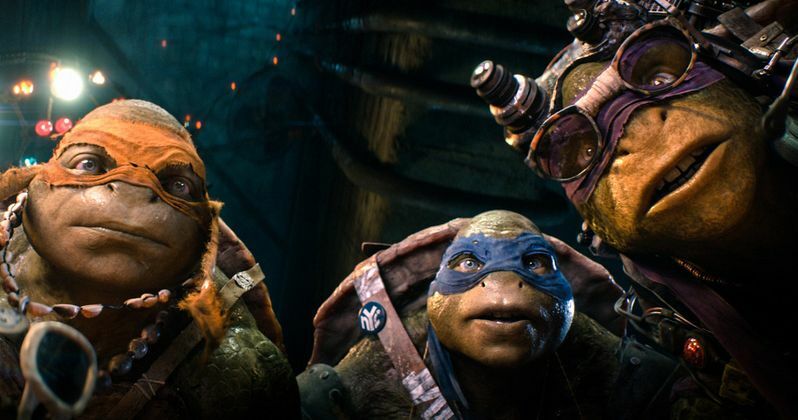 You've seen the music video, now go behind-the-scenes with Wiz Khalifa for a look at how the theme song came together for Teenage Mutant Ninja Turtles. With 'Shell Shocked', Wiz, Juicy J and Ty Dolla $ign have created a new Ninja Rap for this generation. Wiz takes us on the set for a look at how the video came to life, and what was needed to reimagine the iconic 'Go Ninja, Go Ninja, Go!' mantra created by Vanilla Ice nearly 23 years ago in Teenage Mutant Ninja Turtles II: The Secret of the Ooze. We also have a second TV spot featuring Leonardo, and if you missed it the first time around, take another look at the Shell Shocked music video itself! And we have a spoof of the video from Funny or Die with New Girl star Lamorne Morris.